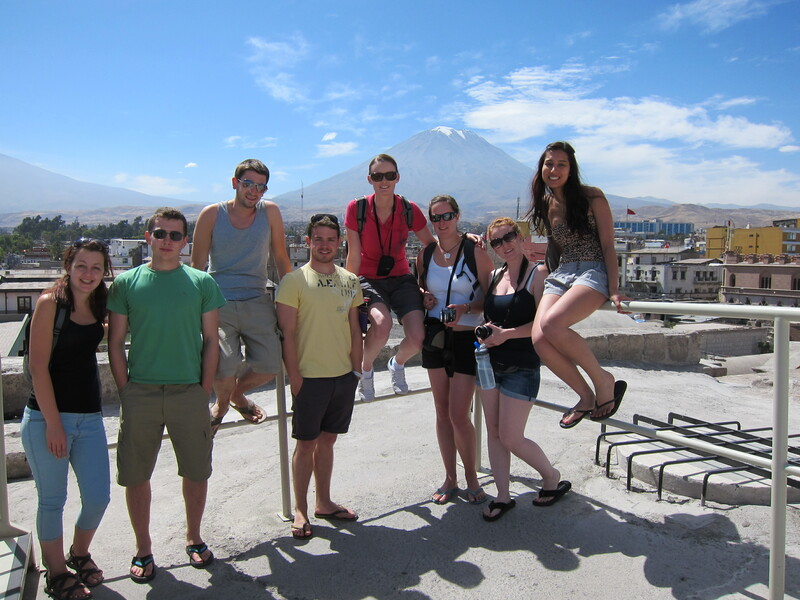 After a 12 hour overnight bus from Cuzco, we arrived in Arequipa – Peru´s second largest city. 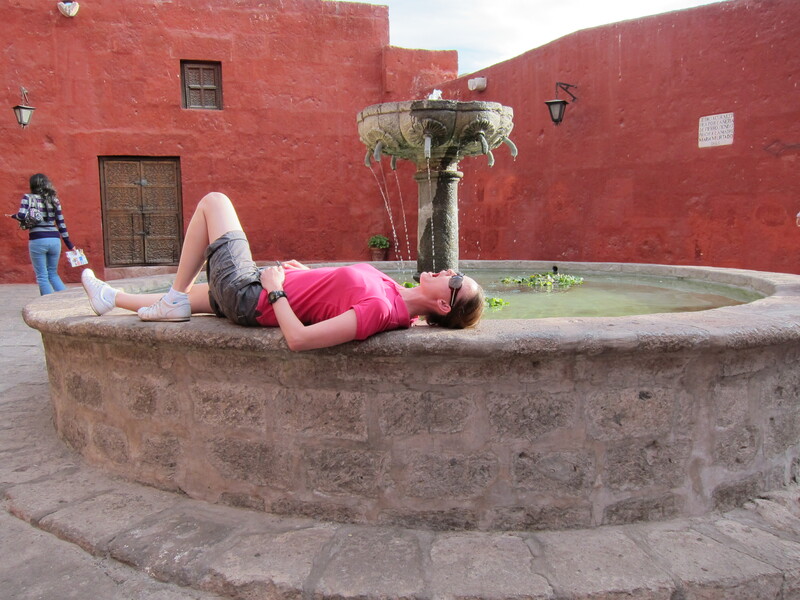 I really liked the atmosphere of Arequipa and it was really beautiful as well with many of the buildings being built from volcanic stone which gives them a whitewashed appearance. 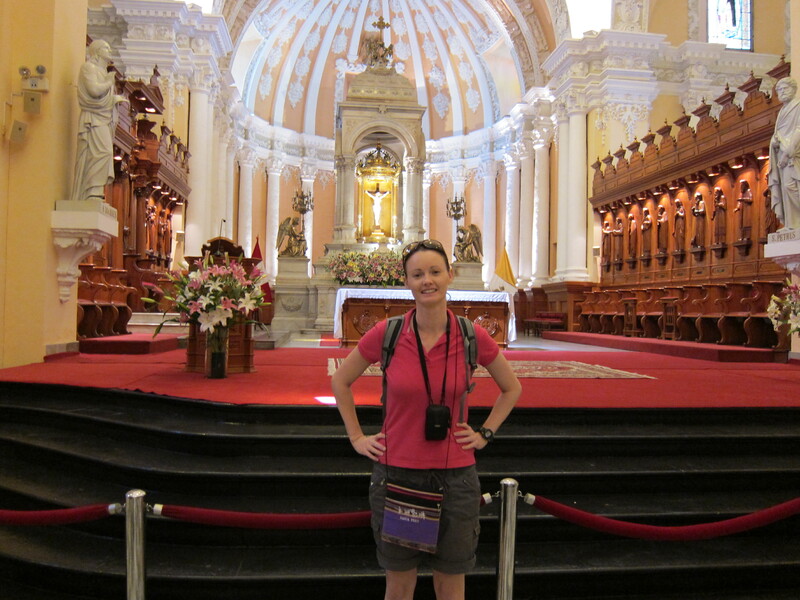 We had a free day in Arequipa so a group of us decided to do a tour of the Cathedral which is located in the main square or Plaza de Armas. Inside, the building was quite exquisite with high arched ceilings and a museum that contained gold, silver and jewelled ceremonial pieces previously used during church proceedings. 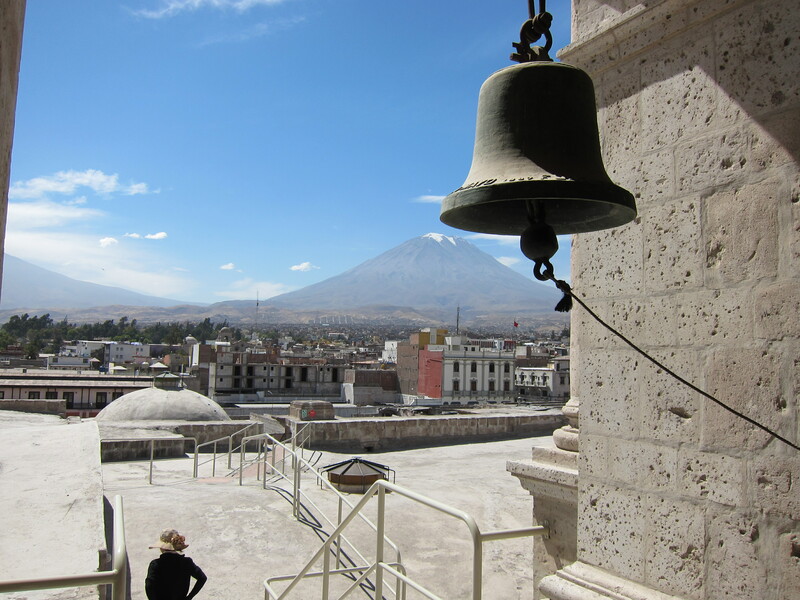 From the top of the cathedral there were views of the whole city and the enormous cone-shaped volcano that overlooks the city (active volcano I might add). 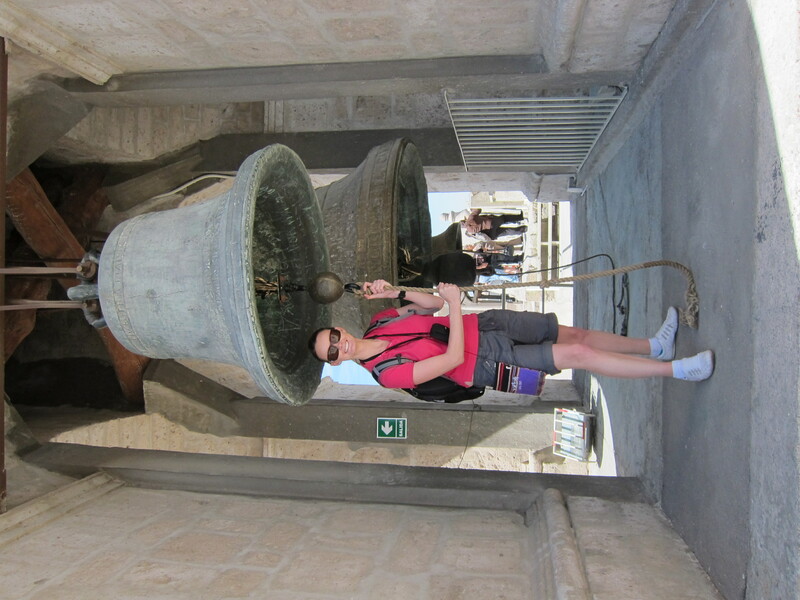 In the afternoon we visited the Monasterio Santa Catalina, a huge monastery that takes up a whole block and is like a city of it´s own with courtyards, winding alleys and room upon room where the nuns used to live. 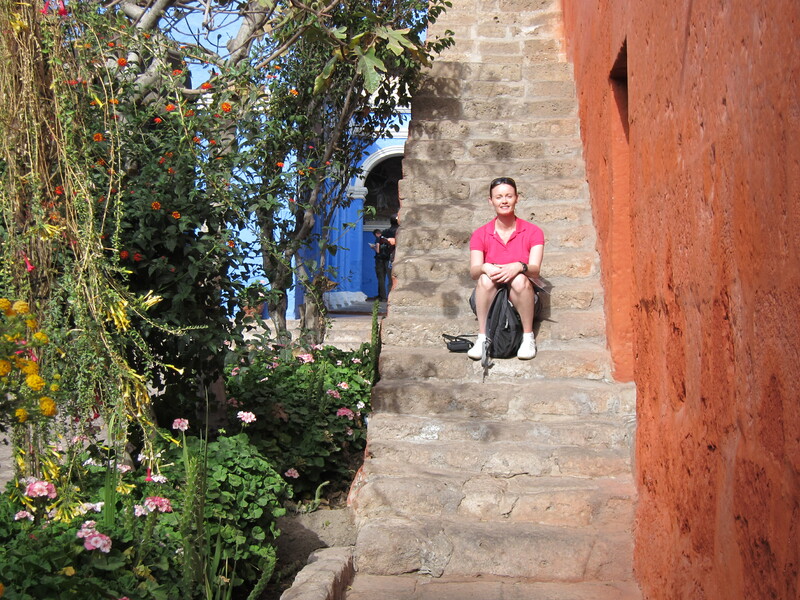 I no longer felt like I was in South America but instead in a small French village – especially with the vibrant colours of the walls and the flower boxes hanging from window sills. 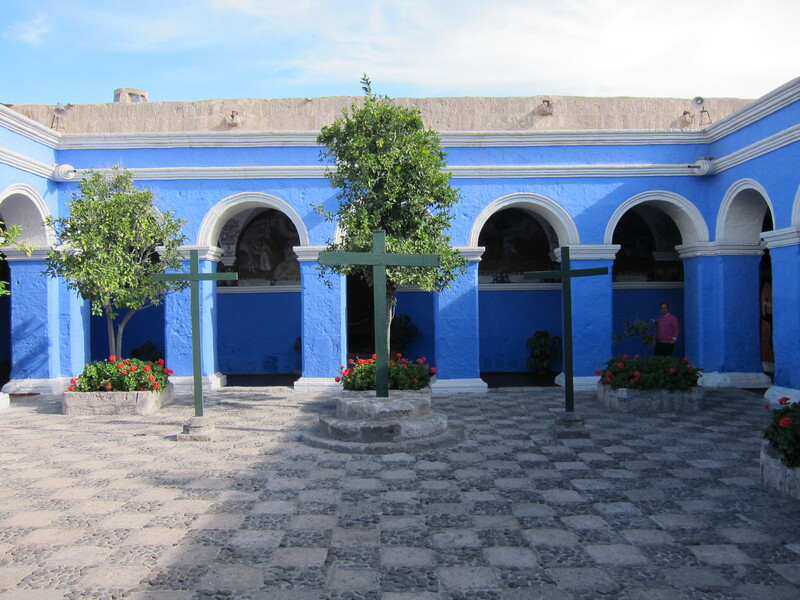 I was really hoping to visit the Museo Sanctuarios Andinos which exhibits ´Juanita, the Ice Princess´a young girl sacrificed by the Incas over 500 years ago, however we ran out of of time. 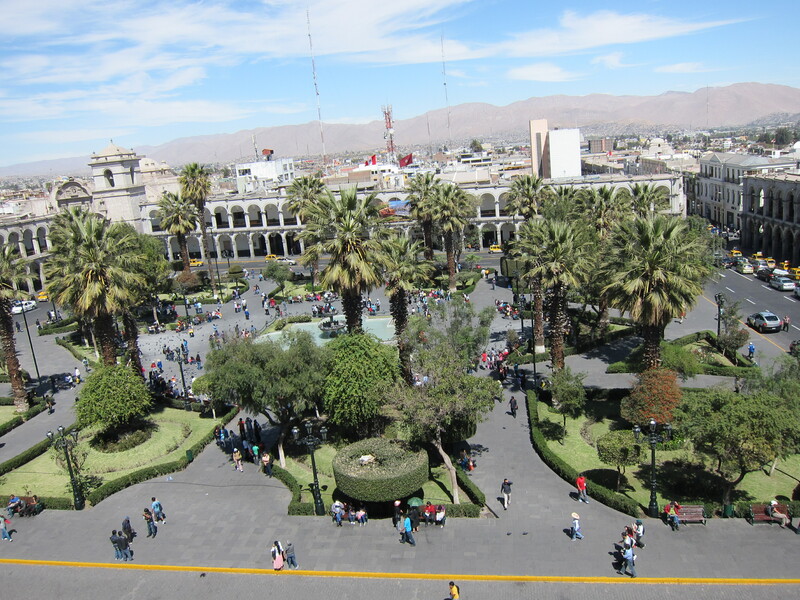 After we returned from Colca Cañon we stayed in Arequipa again and we ate a restaurant on the balcony overlooking the Plaza de Armas which was absolutely beautiful by night and then headed out to a local night club called Deja Vu – very fun! Once again, not looking forward to the flight to Cuzco tomorrow.